Audio Momentum Distribution has been setup to represent the very high end Ktema loudspeaker brand as it slowly expands. As this is such an iconic special brand they will slowly be adding similar ultra high quality equipment and brands as they become available. 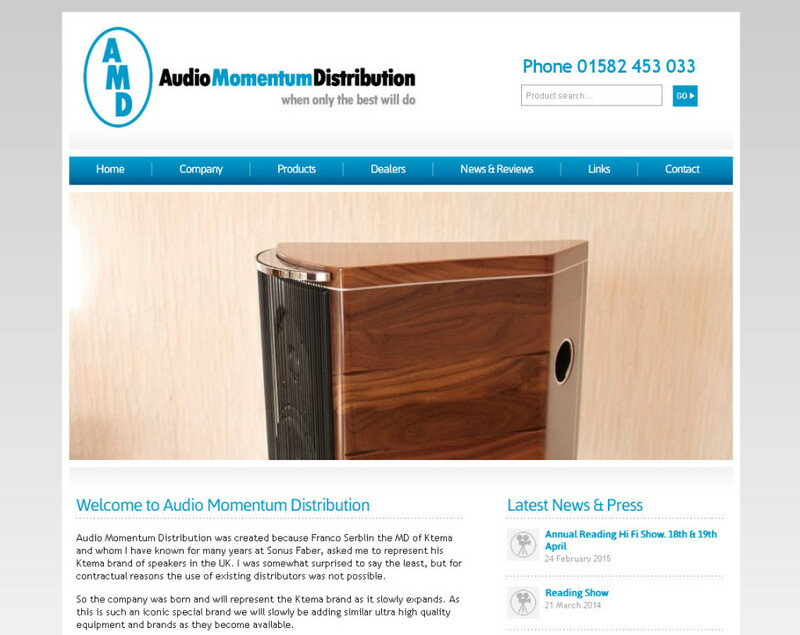 A brand new clean and simple website for AMD, to highlight the very high end audio speakers and systems that they distribute throughout the UK. A nice simple KreatureCMS system to allow the team to control the content and products on the site.